I staged my first art show at age eight, lining the fake wood panel walls of our dining room with colorful drawings, and selling them to my parents’ friends for one dollar each. I’ve continued to pursue my love for art making as an adult, earning both a BA and an MFA in Fine Art, showing my artwork, and attempting to sell it for more than one dollar. After working day jobs in several fields, I realized I would be happier if I could find a way to be creative at work. I heard that Madison College had a great Graphic Design program, and thought I’d give it a try. Three years later, I’ve fallen in love with design. I get to research and learn and think and come up with interesting concepts? I get to look at colors and combine lines and texture and shapes and fonts? I get to put all this together to create something that will make people feel? I can’t think of a more exciting, challenging, or satisfying way to spend my time. When I begin a new design project, I’m like a puppy in the snow. I never feel more alive than when I’m creating. Trailblazer is an identity for a proudly feminist bicycle brand. 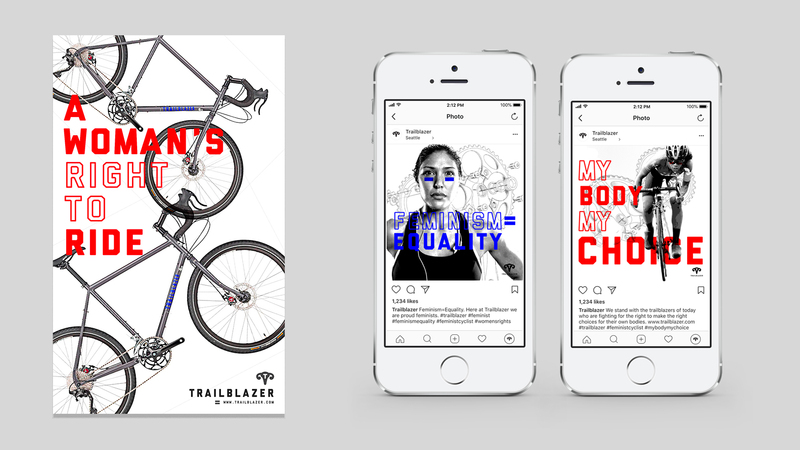 Inspired by the role bicycles played in the women’s suffrage movement, the Trailblazer brand is bold, strong, and revolutionary. 100 years ago, trailblazing women were fighting for the right to vote. Today, trailblazers are fighting for the right to make decisions about their own bodies, for equal pay, for the right to be safe in the streets, and for the right to ride. 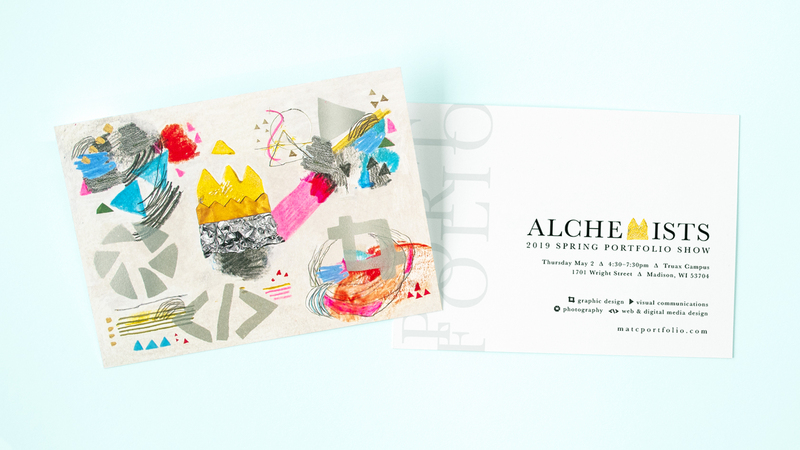 Alchemists was chosen as the concept and design for branding the 2019 Spring Portfolio show. Alchemy is the premodern pursuit of transforming base metals into gold, and an excellent metaphor for the creative process. 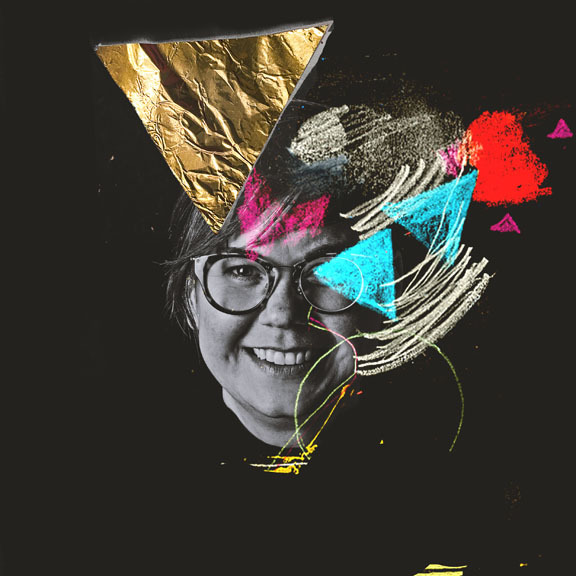 As design, photography and visual communication students, we take raw elements, like color and light and time, and transform them into cohesive projects that communicate with the world. Four icons represent each of the programs in the portfolio show. I wanted Alchemists to feel fresh, magical and otherworldly, and have a strong presence of the hand. The Madison based company, Full Spectrum Solar, installs solar electric systems in homes and businesses. 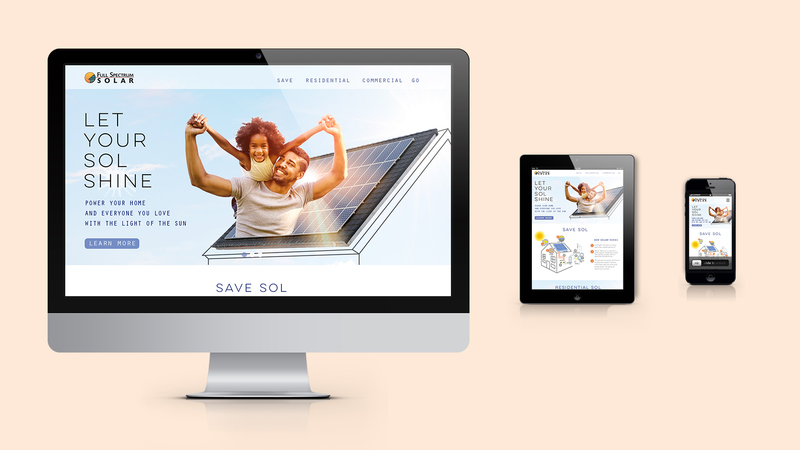 I created a responsive website design that focuses on the home as the soul of a family. Playing on the Spanish word for sun, which is “sol”, I make a connection to the soul of our homes and our lives, the people we love. I wanted the website to feel simple and clean, hopeful and full of light. 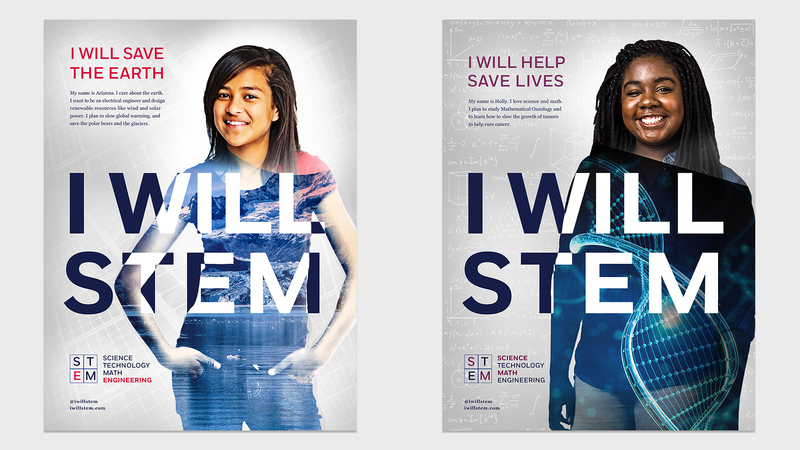 This is a PSA poster series designed to attract teen girls to careers in the STEM fields. 72% of girls want to pursue a job in which they can help the world, but only 20% realize they can do this through STEM. I targeted teens by creating personas that are paired with a social problem, connecting the STEM fields to helping the world. I focused on a proud, intelligent, and strong feel for this campaign. How do you talk about a subject that grosses people out? How do you sell a mundane and disposable product like a hair clog tool? You get creative. You get funky. You get elegant. 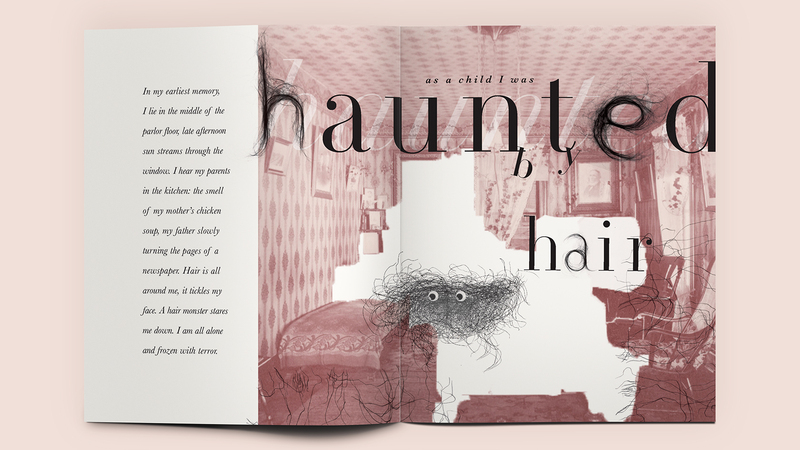 Sold with the product itself, this booklet tells the story of Benjamin Krausky, a lonely plumber who has a history with hair. Far from a conventional brand book, Benjamin Krausky inspires brand loyalty for the Drain Millipede Hair Clog Tool in an unexpected way.